Last week on this program we explored the tired old cliche that is the last refuge of a skeptic who cannot refute the evidence of systemic criminality in the halls of governmental power or the bowels of the intelligence agencies: “But someone would have talked.” As often as this argument is trotted out in other areas of discourse, nowhere is it used quite so often as it is when discussing 9/11. Whatever one thinks of the attempt to equate talk of the moon landing with documentable lies and omissions in the 9/11 commission report, or the logical fallacy implicit in this argumentum ad ignorantium, there is an even more fundamental flaw in this argument. Namely, it assumes that there have in fact been no 9/11 whistleblowers. On the contrary there have been literally dozens of whistleblowers from within the intelligence agencies, government, and the private business world who have been utterly ignored by the self-proclaimed skeptics and the corporate and foundation-funded media who realize that this is the biggest Achilles heel of the official 9/11 story. Barry Jennings was the Deputy Director of Emergency Services for the New York City Housing Department. On the morning of 9/11, he rushed to the city’s Office of Emergency Management in World Trade Center Building 7 with Corporation Counsel Michael Hess. Discovering the office had been abandoned, they attempted to flee the building but were stuck in the stairwell after a series of explosion. After finally being rescued by first responders, Jennings claimed that they had to step over dead bodies on their way out. Jennings died on August 19, 2008 under extremely suspicious circumstances just two days before NIST released its final report on Building 7 concluding the collapse resulted from ordinary office fires. J. Michael Springmann served 18 months as the head of the visa section at the U.S. consulate in Jeddah, Saudi Arabia in the late 80s. He attempted to blow the whistle on a visas-for-terrorists scheme that was being operated by CIA personnel in the consulate, funneling Afghan mujahedeen into the U.S. for training, facilitated by the CIA on behalf of their asset, Osama bin Laden. After numerous complaints up the chain of command, Springmann’s contract with the State Department was not renewed. The Jeddah consulate later went on to issue visas to 15 of the alleged 9/11 hijackers. Of all the 9/11 whistleblowers, however, perhaps the most prominent are among the 9/11 commission members themselves. 6 out of 10 of the commissioners have questioned the commission and its conclusions personally (namely Kean and Hamilton, Kerrey, Roemer, Lehman and Cleland). Commission co-chair Lee Hamilton once famously remarked that the Commission was “set up to fail.” Commission members considered bringing criminal charges against Pentagon officials who had deliberately lied to them about the military’s complete lack of response on that day. One of the commissioners, Max Cleland, even resigned because the commission had been “deliberately compromised by the president of the United States.” Bob Kerrey, meanwhile, has cryptically remarked that 9/11 was a 30 year conspiracy, but no mainstream reporter has ever followed up with him to clarify this statement. We could go on and on with literally dozens of other stories from other witnesses and insiders who have attempted to blow the whistle on various aspects of the 9/11 story, but it should be apparent by this point that the old argument that “someone would have talked” is not an argument at all, but a dishonest diversion from the truth. What is especially dishonest about this oft-repeated argument of the so-called skeptics is that these whistleblowers have by no means been attempting to hide their stories or keep it from the public. 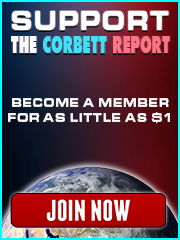 Many of them, in fact, have appeared at conferences, filed formal appeals, joined whistleblower organizations, and made themselves available for interviews throughout the past 12 years, but they have been scrupulously shunned by the so-called fourth estate whose monetary interests rely on the 9/11 terror paradigm to justify the ever-expanding warfare/surveillance state. As usual, it has fallen on the alternative media to shine a light on the remarkable stories of these brave whistleblowers. 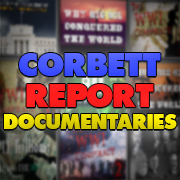 Over the past six years, I have had the chance to interview many of them for The Corbett Report. Once again we find that the argument of the peculiarly unskeptical skeptics is not just fallacious, but factually incorrect. There have, in fact, been numerous whistleblowers with documentable evidence of the frauds and lies that have been constructed around the official 9/11 narrative. This leads those who use the “But someone would have talked” argument in an uncomfortable situation. Either they are incompetent—boldly pronouncing on issues they have not bothered to investigate—or they are lying. The next time someone attempts to use this argument in your presence, it might be worthwhile to inquire which term applies to them.